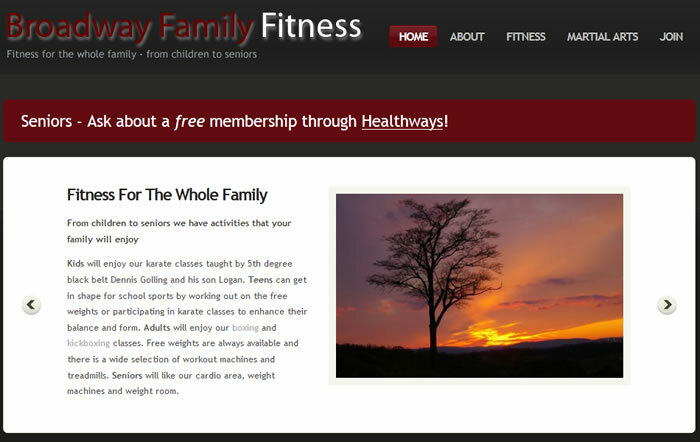 Broadway Family Fitness and Martial Arts wanted a website to drive customers to their gym and dojo. With their modest budget we were able to design a simple logo and create a small website to let visitors know what services they offered. The site enabled the owner to post images of karate classes/exams and publish fundraisers and forms.